#ForestFriday - Dino Valley has trees, too! Texas has some big trees - they just live a few hours away from me. If you go east from Dallas, near the border of Louisiana, you'll find some big pine trees that make you say "ahhhh" when you see them. I love when I have to go out of town and drive through that area, but it's still a bit of a distance for a quick day trip. 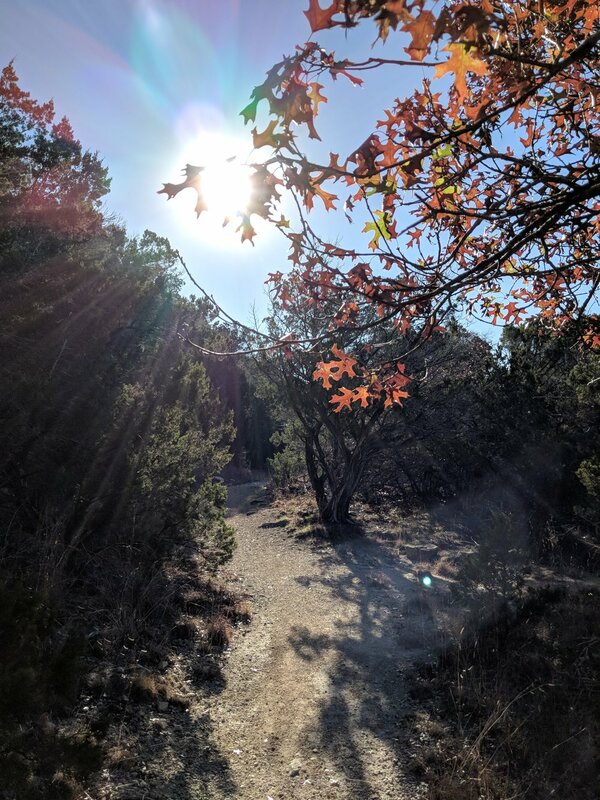 In a previous post, I focused on the trees in the Dallas/Fort Worth metro area at Cedar Ridge and this entry will feature another local treasure known as Dinosaur Valley State Park. People visit Dino Valley for the visible dinosaur track fossils in the Paluxy River and the dinosaur sculptures at the entrance. I visit because you have to cross the river to hike, weeding some people out, and because the hills are great exercise. I ALSO visit because there are streams that flow into the Paluxy and those streams mean trees grow nearby and trees mean heavenly shade from the beating sun. The trees along the trails range from oaks to juniper, with some cedar and live oaks in between. I've found a few, old and large live oaks throughout the park and plenty of little forest areas to offer a cool reprieve from rocky ridges and open fields. Here are a few photos of some trees from my many visits over the past 15 months to this wonderful little gem, only an hour from the metro area. Newer Post#MondayMotivation - Help your fellow trees!